It’s never too late to ask yourself what you want to be when you grow up. As college students begin school, or go back to school after a summer – or after many years – away, now is a great time to take stock of your career goals and how to attain them. What steps can you take now, and then later on down the road to get you from where you are now to where you want to be? Where do you even want to be and how can you go about finding the right questions to ask yourself to discover the answers you need to move forward? One good start is to take a career inventory to identify what careers fit your interests. 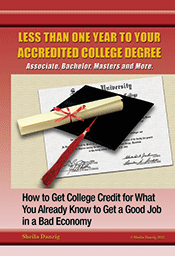 You can find this through your college career center or online. Just run a search and you will come up with a variety of surveys that can help you identify your best career fit. Once you have decided what you like to do and where you might want to go with it, talk to professionals in jobs that you are considering. If you know someone, or a friend or family member knows someone who would be open to talking with you or letting you shadow them, do it. Find out from someone who lives out the lifestyle you one day see yourself in what it’s really like – the good, the bad, the ugly, and the excellent. Talk to them about the steps they would recommend you take to get there. On a professional level, start working in your field in some capacity as soon as you can, whether it’s a job, an internship, or volunteer work. In 2012, the National Association of Colleges and Employers found that 75% of employers that responded to their survey reported preferring candidates with relative work experience when hiring new employees. College alone is not enough to meet your career goals. At the same time, you can already take steps to establish yourself as a credible resource in the field. Get out of your comfort zone. Attend or present at conferences. Start a blog. Teach a class or offer a workshop. Get your feet wet and meet people in the field. These are great ways to build up a colorful resume, and also to network with your future colleagues. Already have college and work experience in the field you want to go into? Unsure of how to move forward? Going back to school may not be the right option if you’re ready to jump on in. Visit us at thecareerpeople.com for a consultation on your career goals and how to take the next step.